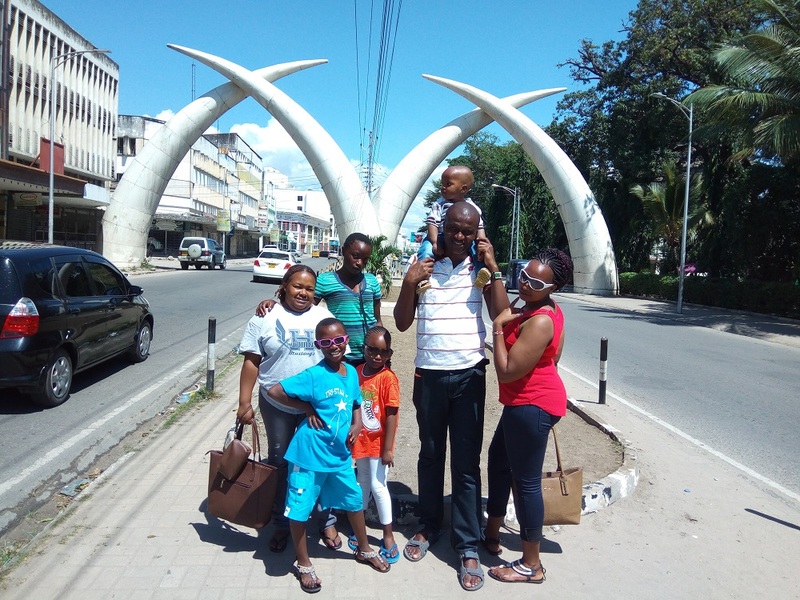 Mombasa travel essentials and not only; Let's go on a journey to discover the soul of this colourful and vibrant city where Asian, African and European cultures mix in an eclectic and addictive way. Jambo and welcome to Kenya’s most thrilling city “Mombasa Raha”. As locals say “it’s easier coming to Mombasa than leaving". One quickly gets consumed into pleasures of the city… the addictive Mombasa experience awaits you! Best known for its amazing and attractive beaches, Mombasa is also blessed with countless features such as world class luxurious hotels, marine life parks, historical sites, safari destinations and numerous tourist attractions and fun of every kind. And, just like the warm weather, locals are friendly and warm welcoming. Initially started as a trading centre and route to Middle Eastern and Far East Asian countries for items such as; glass, brass, copper, iron, ivory, spice, rhino horn, and slaves. Today, Mombasa has really transformed into a big and vibrant modern city while still preserving its rich cultures and history. Owing to its strategic location along the coastline and economic importance, before the 19th century, Mombasa Island witnessed numerous foreign invaders and wars to take ownership and control of the Island. As a result, it was named “Manbasa” an Arabic name for “Kisiwa Cha Mvita" in Swahili or "Island of War". To-date, Mombasa remains an important economic hub and gateway to Kenya in both trade and tourism. It’s the second largest cosmopolitan city in Kenya and it embraces people from all walks of life/cultures. Various cultures and communities have blended in so well to form a unique and dynamic multicultural community. The multi-cultural aspect and the wild, crazy, wonderful mixture that has been created is one of the aspects of the city most admired by visitors. Mombasa is all about culture, art, tradition, religion and a modern lifestyle. An eclectic mix of modern and past. 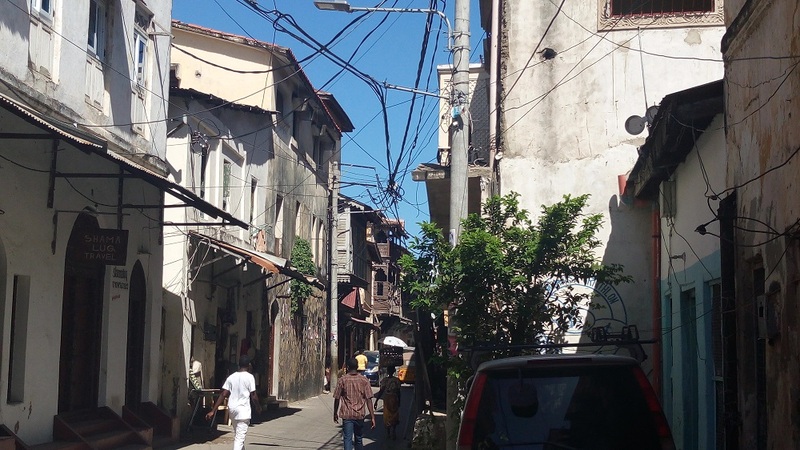 As you walk around, the most notable community is the Swahili one; a community that has greatly been influenced by the Arabic, Indian and European cultures in their way of life, buildings, religion and foods. Weather here at the coastal region is mostly hot and humid. From month to month, temperatures are usually the same with just slight differences. Just be ready to soak in sun and heat. With lovely weather all year round, Mombasa is characterized by hot and humid tropical climate moderated by the cool sea breezes. Ice cream and cold sugarcane juice sells like hot cake here. Temperatures are usually highest in the months of December to March and August to October. These month’s are the dry months and usually high season for tourist season. During the off-peak rainy season prices are lower, it’s less crowded and still plenty warm enough for the beach - although in April and May it rains a LOT. Accessible only by boat and connected by bridges to the mainland, Mombasa Island is the Central Business District of Mombasa County. It’s well served by modern transport system to enable easy movement of people and goods within the city. Recently, the government launched a modern SGR railway network that connects Mombasa with the capital city of Nairobi, which significantly reduces the travel time compared to road. 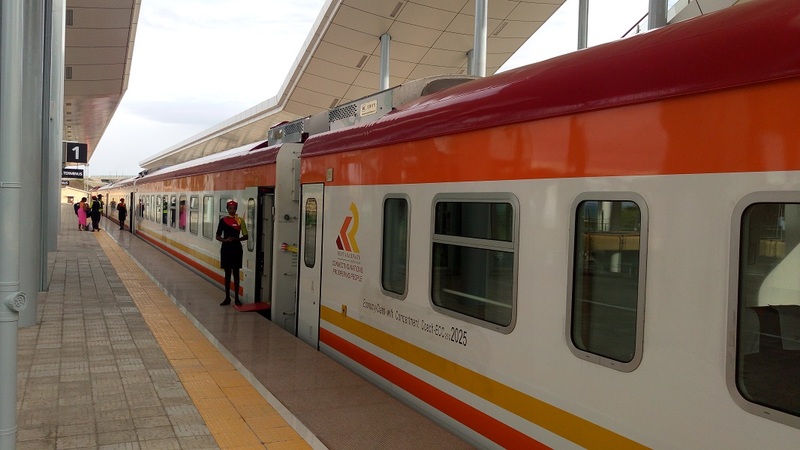 If you enjoy travel tourism, then SGR trains will offer you that opportunity. It passes through the Tsavo National Park, Nairobi National Park where you can have a close view of wild animals as well as other spectacular landscape features. If you are coming from outside the county or you prefer reducing travel time greatly, air transport is the best option. Moi International Airport serves both international and local flights as well as chatter plains. There are a number of credible taxis and travel agencies to pick you from the airport to your final destination. Kilindi International port serves as the country’s main imports and export route. It mostly handles cargo and consignment ships but also Cruise ships do dock here. If you are coming from south coast, you will use ferry to cross the Likoni water channel to get to Mombasa city. If you are more adventurous and you would like to take your time to explore more of Kenya’s terrain and economic activities of communities living along the highway (Nairobi - Mombasa), road transport is ideal for that. It takes around 7-8 hours drive from Nairobi to Mombasa by road but since the road network is being expanded, soon it will take less hours. 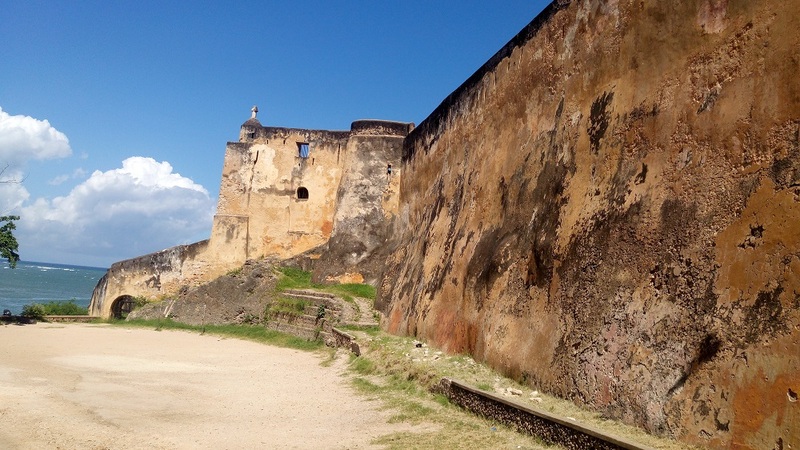 Mombasa really is a city with lots to see, plenty of history and lots to do. When you are worn out after exploring spice markets and ancient forts you've long white beaches and warm tropical seas to relax. Of course, as you'd expect in a city where so many cultures mix, the food is a delightful infusion of tastes from Africa, Asia and Europe. You haven't truly lived until you spent a night at Ali Barbour's Cave Restaurant and tried his Vasco de Game seafood platter. 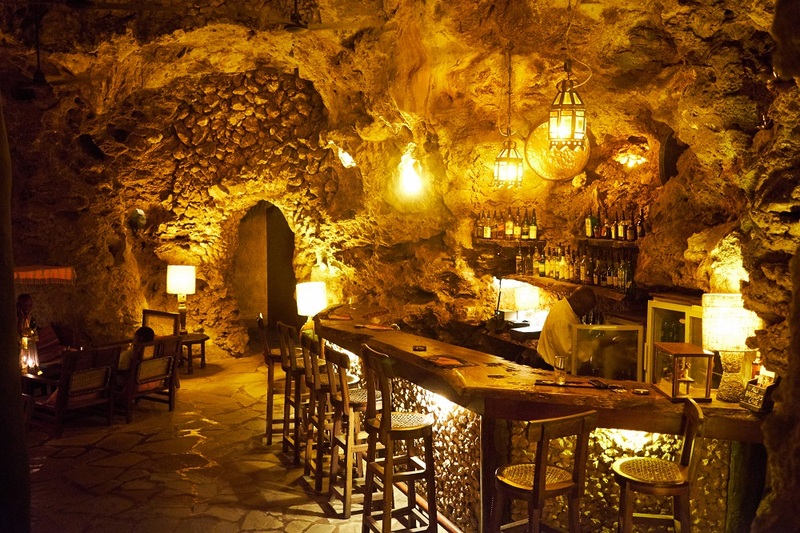 For all the tastes, sights and sounds of Mombasa, more about Ali Barbour's Cave and tips on avoiding the forty thieves visit our guide. Be it that you are visiting Mombasa city for the first time or you are a regular visitor, it doesn’t have to be that difficult or expensive to explore it. If you are familiar with the city, and you have your own personal means, then that is the easiest and cheapest way to explore Mombasa. But if it’s your first time to tour Mombasa or you simply want to take your travel experience to another level, I have a nice idea for you.... a Tuk tuk ride! 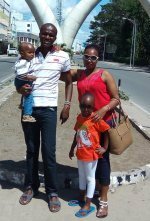 These guys just made my travel experience in Mombasa exciting and memorable. Tuk tuk rides are fun and the cool breeze blowing in your face is most welcome on a sunny day. They are most affordable and popular means of transport within the city. For kshs 1500, I hired one to take me round the city for half a day and found that a fair rate. If you are on a tight budget you can choose to connect from one destination to another, which is much cheaper than hiring your own tuk tuk. If you don’t mind the hustle of Matatu’s, which are equally cheap, you can board them but you need to know where you are going or else you may find you have gone right past your destination. You can choose to hire a taxi or rent a car, but you will need to dig deeper into your wallet. If you know how to navigate the city routes, car rental is slightly cheaper than hiring taxis. However if you fancy privacy and comfort more and with this being a tourist destination, there are several reputable travel & tours agency firms that do half day or full day Mombasa city tour depending on your package you select. They are a particularly good option if your time is limited. You've a vast choice of hotels ranging from pampered five star luxury at the Serena Beach Resort and Spa to excellent value budget hotels such as the Reef Hotel. To discover some of our favourites click here. Like to see more of what Mombasa travel can offer? Visit our photo guide to the city.